Haalu Paayasa or Akki Paayasa is the basic paayasa that we make at home. Haalu Paayasa is prepared with just few basic ingredients like milk, rice, sugar and cardamom. We also prepare another version of this paayasa which is the Turmeric Leaf Paayasa. 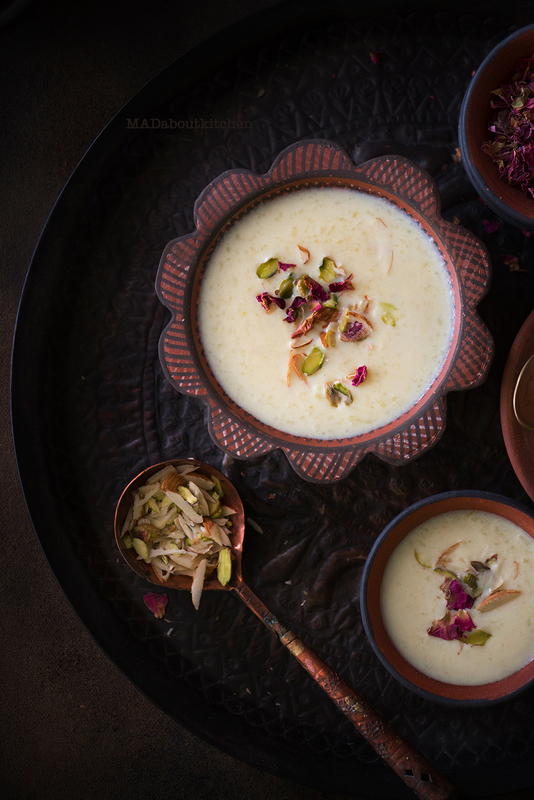 My granny never used sugar in the kheer . We had cows and buffalos at home and she used the freshest milk. She used the hand pound rice from our rice fields and garnish it with home grown cardamom. 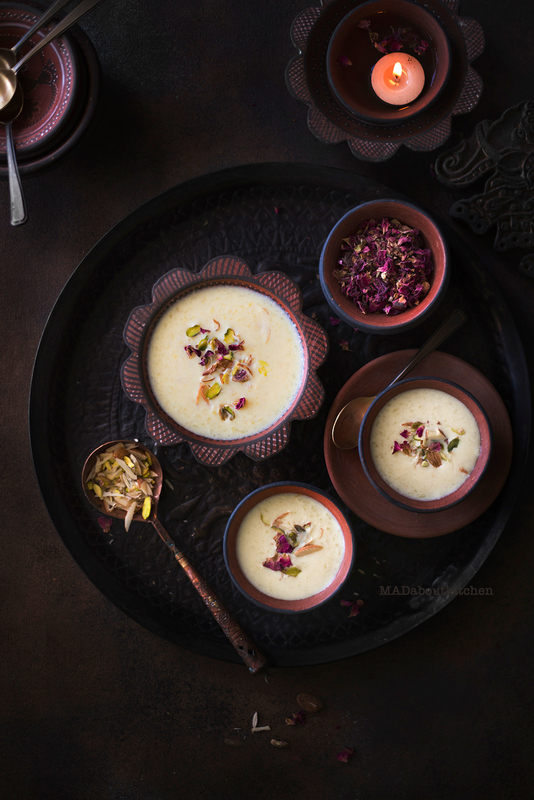 The kheer would not need any sweetner. It would be mildly sweet. It is only now that we use condensed milk and sugar to make it rich. I love both the versions, depending on the occassion. 2 nos – Cardamom, Crushed. In the meantime bring half the milk to a boil in a pressure cooker and the other half in a saucepan. Add crushed saffron to the milk in the pressure cooker. Reduce the flame and keep the let it simmer. Add soaked rice to the cooker, give it a good mix and cover the lid. Put the whistle on and keep the flame low. Let the rice cook and the cooker let out one whistle. Keep an eye as the milk may spill out when the whistle goes on. I usually tap the whistle as soon as it goes on. Open the lid of the cooker once it cools down. Give the rice a good mix and mash it while mixing. Add the remaining milk in the saucepan, sugar, condensed milk and simmer till the paayasa comes to a thick creamy consistency. Garnish it with any dry fruits of your liking and serve it hot. *I always made the paayasa without the pressure cooker. I would let the rice cook in milk in a pan and simmer it till the rice was well cooked. While it takes a long time and the result in the pressure cooker is no different. 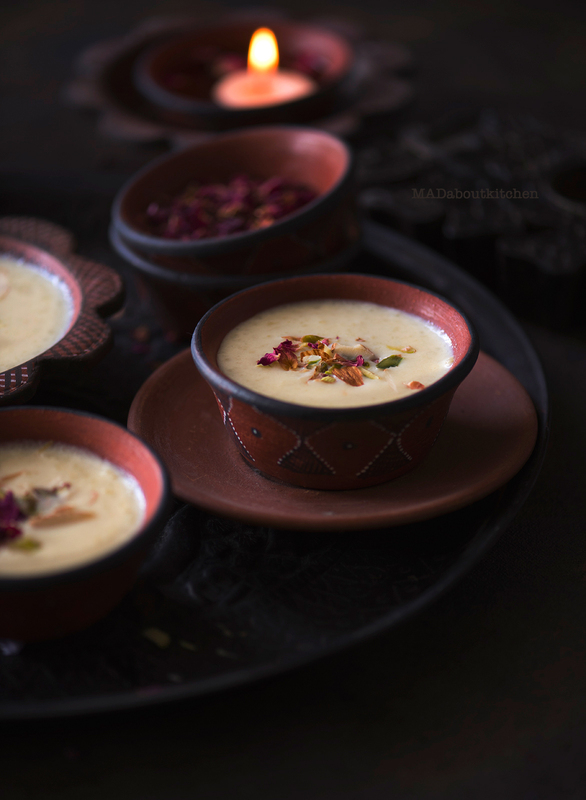 What are you planning to make during Dasara? 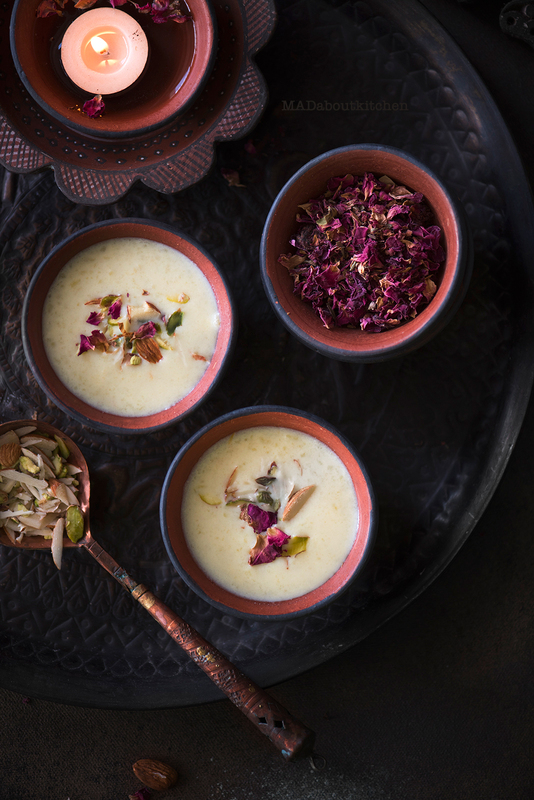 Do check out some other dishes like Gulab Jamun, Obattu, Ambode, Halwa, Hesaru Bele Paayasa. 2 nos - Cardamom, Crushed. *I always made the paayasa without the pressure cooker. I would let the rice cook in milk in a pan and simmer it till the rice was well cooked. While it takes a long time and the results in the pressure cooker is no different.